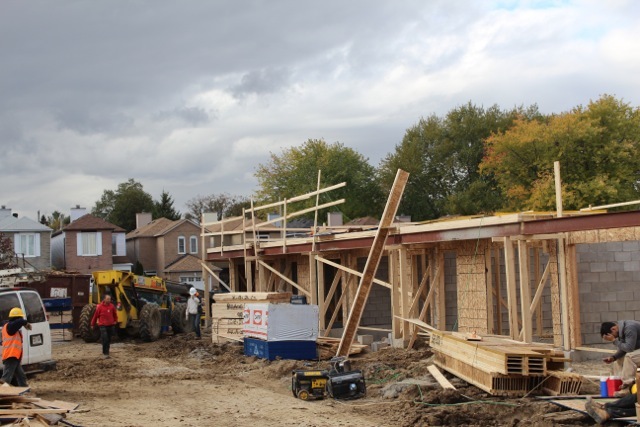 Braeburn Lane in Scarborough is showing steady progress with construction well on its way. 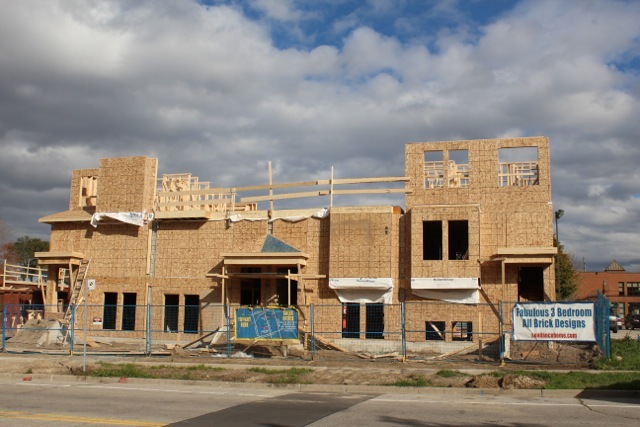 The new townhouse project by Sundance Homes will feature 11 units, and the exterior is already starting to take shape! With closing scheduled for February 2014, purchasers can now make their design selections. Construction on the East side of Block A. 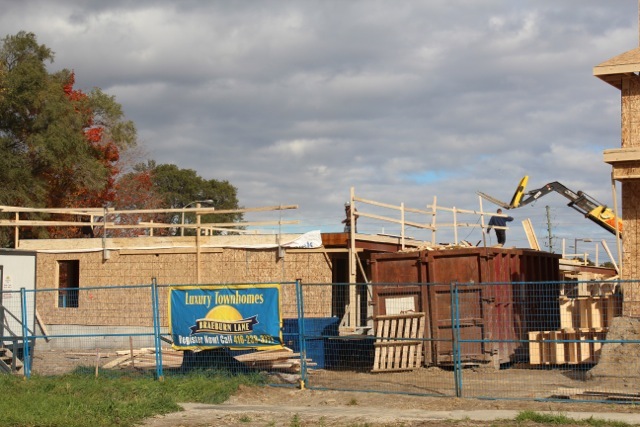 The first floor is already complete and work is commencing on the second floor. Interested? There are only three units left for sale, which includes one end-unit. Here, steel has been installed above the garage entrance and a wall of concrete blocks has been built to separate each unit. The rear view of Block B shows steel installed at the garage entrance and concrete blocks separating the units. 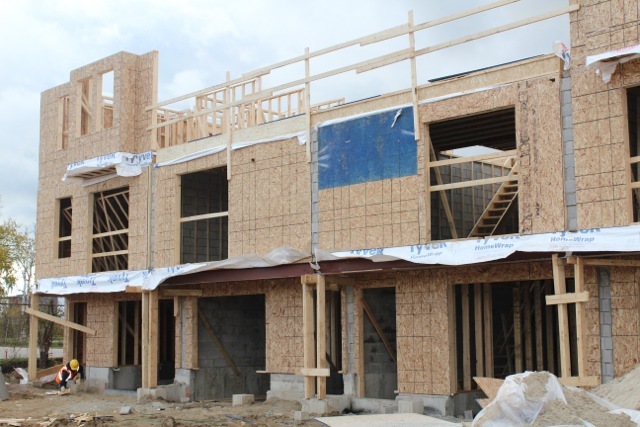 Progress sure is moving along quickly — the interior framing is already complete on the first and second floor, and is commencing on the third level. Once you make your selections, you can visualize the decor amid the other appealing features of the suite. Each townhouse will boast quality designed kitchen cabinets and a kitchen island or breakfast bar depending on the floor plan. Braeburn, located on Greenbrae Circuit, is nestled in an amenity-filled neighbourhood. It’s less than a 10 minute drive away from the Scarborough Town Centre, along with a variety of other popular restaurants, schools and retail shops. Prices for available units start in the low $400,000s and the townhomes range in size from 1811 to 1853 square feet.